Dual-listed renewable energy company, Mission NewEnergy Limited (ASX:MBT | OTC:MNELF), has signed a heads of agreement to acquire PlayUp Limited. PlayUp is situated in one of the most rapid-growth tech segments, and is set to emerge as a global market leader in blockchain-enabled fantasy sports, sports betting and online gaming. This transaction will see MBT wholly acquiring PlayUp via reverse merger (RTO). The merger process provides a clear pathway to global capital markets, enabling rapid local and international growth. Once the acquisition is completed, the company will seek to be re-listed on both the ASX and NASDAQ. Based on MBT’s due diligence and warrantees made by PlayUp directors, it is understood that PlayUp currently has around 400,000 registered users. It is also represented by sporting legend, Brett Lee, who has a social network of over four million sports fans. 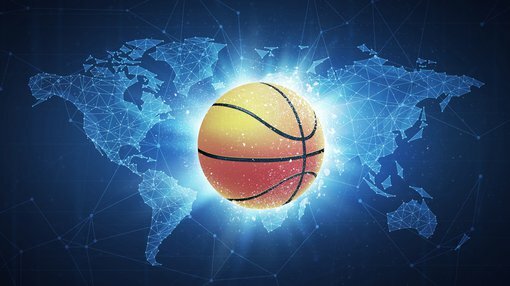 According to Legal Sports Report, daily fantasy sports revenues are predicted to exceed US$14.4 billion globally by 2020. According to Research and Markets, moreover, online gambling, which is growing at a compound annual growth rate (CAGR) of 10.81 per cent, is set to exceed US$500 billion. PlayUp will deliver the world’s first fully integrated, blockchain-enhanced, global fantasy sports, online sports betting and gaming ecosystem. Underpinning this is the PlayChip Utility Token, a cryptocurrency built on the Ethereum blockchain, specifically designed for use as a universal payment and rewards system for the online gaming industry. PlayUp is the first distribution partner of the PlayChip and will form a foundation for the decentralisation of the PlayUp platform and allow sports fans to connect, compete and collect, regardless of their location. PlayUp has committed to engage investment bank and financial advisory firms, Investorlink Group in Sydney, and Chardan Capital Markets LLC in New York, to assist with the transaction. The company anticipates a capital raising of US$40 million. “We expect that with the successful integration of blockchain technology and the completion of ASX and NASDAQ listings, our company will be positioned to be a dominant player on the global stage in fantasy sports, online gaming, as well as the emerging blockchain technology sector,” added Simic. Of course, as always, success is not guaranteed — consider your own personal circumstances before investing, and seek professional financial advice.